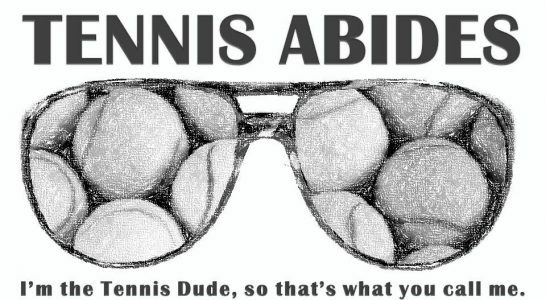 Tennis fans have been involved in many all-time great discussions on the men’s side of the ledger since 1999. That year Andre Agassi completed a career Golden Slam by winning Roland Garros in June only to have Pete Sampras in July tie Roy Emerson’s then record 12 major singles titles. People wondered if Andre’s 4 majors and 1 gold medal due to their diversity were better than Pete’s 12 majors. In 2004, Roger Federer won his 4th major by obliterating Lleyton Hewitt in the US Open final. Discussion shifted to Federer being better than Sampras. I recall asking Jon Wertheim if some stars shine brighter but shorter than others in an attempt to give credit to Roger’s then transcendent 2004 level and Pete’s overall longevity and records. This was my first attempt to give some separate but related questions when asking who is the GOAT. I felt like 2 questions had to be asked: Who played the best? Who accomplished the most? Rafa’s rise and head-to-head record versus Roger added to these debates. Rafa’s periodic absences and Roger’s constant quarterfinal, semifinal, and final appearances at majors led to me adding consistency as a 3rd question to be asked of GOAT candidates. Finally, Serena Williams unique distinction of winning her first major in 1999 and most recent major in 2015 despite not always being at the top of tennis led me to adding longevity into the mix. Who played the best tennis? Who had the best longevity? * Of course other categories probably exist, but since this is my site and these are the four I can think of, they seem like a good place to reengage this question. Please share any other lenses for analyzing the GOAT question that you can. Novak and Who Played the Best? This category is where Novak shines the brightest. People can argue that Federer in 2006 or Nadal in 2010 may have played better than Novak’s current level, but Novak has a pretty convincing case as being the top performer in tennis history. In addition to what our eyes and statistics tell us, there is a logic to any current dominant #1 being the best the sport has ever seen. Racquets, strings, shoes, training methods, dietary knowledge, ease of travel, use of analytics, sports medicine, grips, socks, etc. rarely get worse. Therefore, if a player is not playing hot potato with the number one ranking and is not a caretaker number one, he or she is likely playing better than any of his or her predecessors. A good case can be made that Novak is playing tennis at a level never before achieved. Novak and Who Accomplished the Most? Novak is rising rapidly in this category, but it would be hard to say that he has accomplished more than Federer, Nadal, or Sampras at this point. Rod Laver’s amateur majors and non-grand slam majors as a professional before the Open Era are almost impossible to weigh versus the current configuration of the tour. Novak won his 5th World Tour Finals last November tying him with Pete Sampras and Ivan Lendl’s 5 and leaving him only 1 win behind Roger Federer’s 6 WTF (the ATP really needs to change this name) titles. Novak’s 11 majors tie him with Bjorn Borg’s 11. Borg won 6 Roland Garros titles and 5 Wimbledon titles while never playing the Australian Open. I’d probably put Novak ahead of Borg here, but some might say the Australian Open is not quite as important as the other 3 majors. Novak has finished 2011, 2012, 2014, and 2015 at #1. He just banked 2250 points with 2 titles to start 2016. He can tie Jimmy Connors and Roger Federer’s 5 years finished at #1 leaving him behind Pete Sampras’ 6 years finished at the top. Also, Novak is likely to tie and exceed Rafa’s Masters 1000 mark. Every week Novak spends at #1 and every tournament he wins helps him in this category. Roland Garros is a blank space for Novak as he lacks the career Grand Slam Rafa and Roger possess. However, if Novak wins Roland Garros 2016, he will be the reigning champion at all 4 majors. That has not happened for a male player since Rod Laver and has never happened when 3 or 4 surfaces are used at the majors (Plexicushion and Rebound Ace are different from Decoturf II but I guess US and Aussie grass probably played differently than Wimbledon did too). If Novak were to be the reigning champ at all 4 majors, it would be a unique accomplishment. It might be the greatest accomplishment in the history of men’s tennis. Novak did win a bronze medal in 2008, but 2016 offers him a chance to add to his Olympic haul as well. Novak and Who was Most Consistent? Novak is not #1 in this category yet, but normally one would not reach #1 here until late in one’s career. Still, Novak’s consecutive weeks at #1, his seasons finished at #1, his total weeks at #1, his growing Masters 1000 and WTF tallies, and his tying Jimmy Connors for the second most consecutive Grand Slam quarterfinal appearances put him ahead of Nadal (too many extended absences from the tour), Sampras (too many lousy clay seasons), and Borg (he retired at 26). Novak is probably 3rd on this list behind Roger Federer and Jimmy Connors. However, Novak is ahead of Connors on playing level and overall accomplishments. Novak and Who had the Best Longevity? Again this category is better evaluated late in a player’s career or when a career has ended, but Novak is not performing poorly here. Pete Sampras, Jimmy Connors, Andre Agassi, Rafael Nadal, and Roger Federer would all rank ahead of Novak here. Rafa’s absences from the tour do not impact him here as he won at least one major from 2005-2014. Pete and Andre put more than a decade between their first and final major titles. Roger has reached the World Tour Finals/finished in the top 8 from 2001-2015 (and counting?). Still, Novak burst onto the scene in a big way in 2007 and has never gone away. He has won major titles in 2008, 2011-2016. His Masters 1000 haul began in 2007 and does not look to be ending anytime soon. Novak won his first World Tour Finals crown in 2008 and his most recent crown in 2015. I’d say Novak is #1 in one of my categories. He is playing tennis week-to-week at a higher level than anyone has ever seen. In 2016 alone, he has soundly beaten Rafael Nadal, Roger Federer, and Andy Murray winning 8 of the 9 sets played. Roger and Rafa are two all-time greats. Murray is the current #2 in the world. Novak has put space between him and his competition even with nature abhorring a vacuum. Novak is not #1 in the other 3 categories yet, but he is climbing. How high he climbs is one of the great things we will get to watch over the next 36 months. Previous Post Product Review: Bones Original Tennis Wear & Discount Offer!